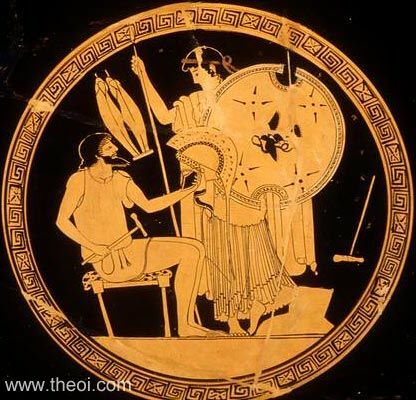 Hephaestus presents Thetis with armour for her son Achilles. The divine smith holds a hammer in one hand and a helm in the other. Thetis holds a shield and spear, and a pair of greaves hang from the wall beside her. The painting illustrates a scene from Homer's Iliad.